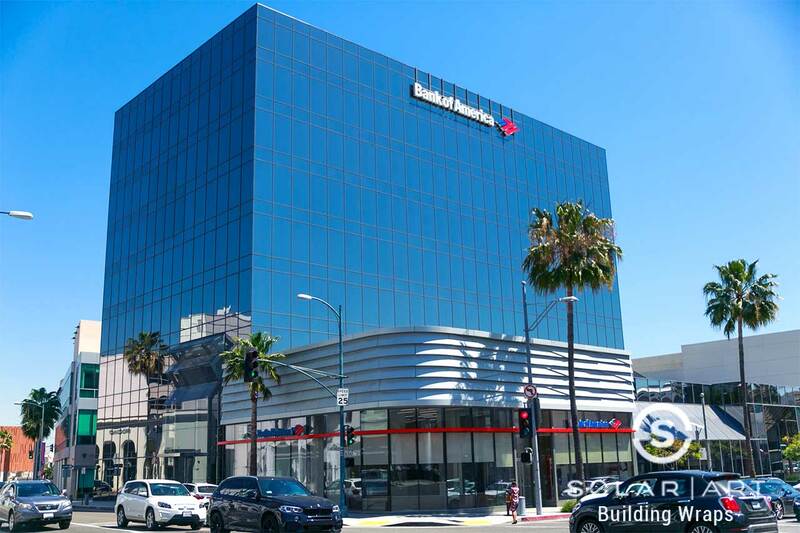 Solar Art installed a building wrap to Bank of America in downtown Los Angeles, California. Building wraps are a simple and cost effective way to completely update the look of the building. The customer was looking for a way to redo not only the appearance of the building, but also improve sustainability. Having an updated building and curb appeal is extremely important and can be the deciding factor for potential customers. Blinds and shades being up or down can create an inconsistent look from the outside. If you are trying to rent the building out, having a modern and well kept building will look better to prospective renters than the older buildings in the city. As you can see from the before photo, the outside of the building looked inconsistent and you can clearly see the offices that have their blinds and shades down. Since the scope of this project was so large, we installed it in four different phases. The duration of the installation depends on not only the size of the building, but the size of the windows as well as the film that is being installed. We installed exterior window film to give the outside of the building a uniform look. Exterior window tint is a heat reducing window film and a glare reducing window film. It will make the building energy efficient and will reduce electricity bills by reducing the amount of heat that enters a space. Building wraps can reduce up to 75% of heat that enters and blocks 99% UVA and UVB rays. You may even be eligible for a rebate through your utility company. Exterior window film comes in a variety of different tints and shades, depending on the purpose and what you are looking for. Building wraps are installed the same way as solar film, anti graffiti film and security window film and can easily be removed if need be. Contact us directly to talk with us about Building Wraps! 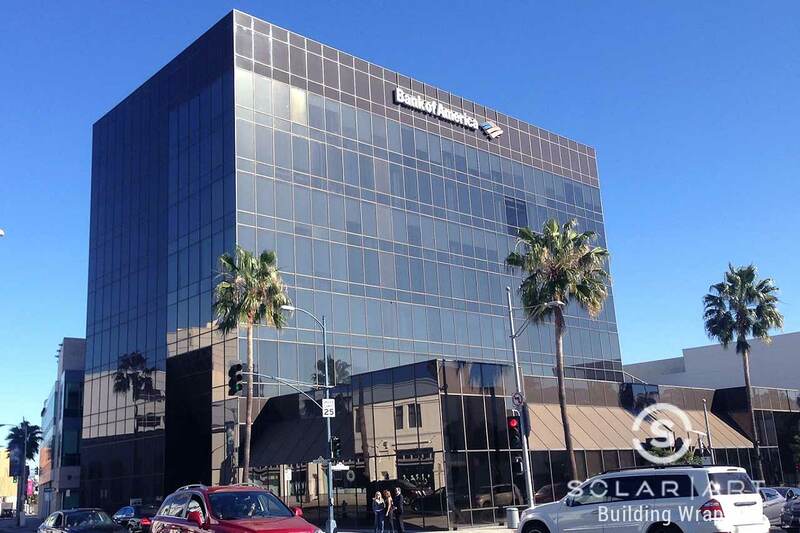 Full building wraps are installed using exterior window film and window vinyl. Building wraps will transform the look of your building helping attract new tenants! Contact Solar Art to learn more!